It's back! Once again, I'm hosting the Back to the Classics Challenge. I hope to encourage bloggers to discover and enjoy classic books they might not have tried, or just never got around to reading. And at the end, one lucky winner will receive a $30 prize from Amazon.com or The Book Depository! 6. An adventure classic - can be fiction or non-fiction. Children's classics like Treasure Island are acceptable in this category. 7. A fantasy, science fiction, or dystopian classic. Dystopian could include classics like 1984, and children's classics like The Hobbit are acceptable in this category also. 11. Re-read a classic you read for school (high school or college). Re-visit a book you were assigned to read! If it's a book you loved, does it stand the test of time? If it's a book you disliked, is it any better a second time around? 12. A volume of classic short stories. This must be one complete volume, at least 8 short stories. It can be an anthology of stories by different authors, or all the stories can be by a single author. Children's stories are acceptable in this category also. All books must be read in 2016. Books started before January 1, 2016 do not qualify. All reviews must be linked to this challenge by December 31, 2016. I'll post links each category the first week of January which will be featured on a sidebar on this blog for the entire year. You must also post a wrap-up review and link it to the challenge no later than December 31, 2016. Please include links within your final wrap-up to that I can easily confirm all your categories. Updated: Children's classics are acceptable, but please, no more than 3 total for the challenge. The deadline to sign up for the challenge is March 1, 2016. After that I will close the link and you'll have to wait until the next year! Please include a link to your original sign-up post, not your blog URL. The winner will be announced on this blog the first week of January, 2017. All qualifying participants will receive one or more entries, depending on the number of categories completed. One winner will be selected at random for all qualifying entries. The winner will receive a gift certificate in the amount of $30 (US currency) from either Amazon.com OR $30 worth of books from The Book Depository. The winner MUST live in a country that will receive shipments from one or the other. For a list of countries that receive shipments from The Book Depository, click here. So what are you waiting for? Sign up at the linky below! I'll be posting my list of possible reads for 2016 in the next couple of days. Happy reading! Updated: The sign-ups are now closed. 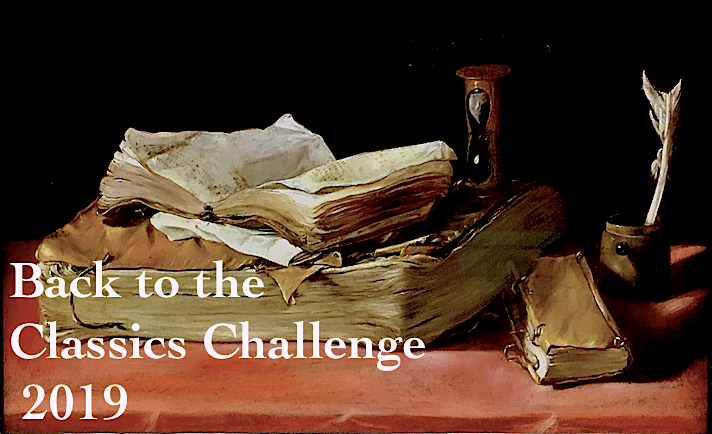 Check back at the end of the year to sign up for next year's Back to the Classics Challenge! Great, thank you Karen! I have been carefully watching my blog feed recently for this. I see myself as a mainly classic reader, but in recent months there has been a lot of emphasis in my reading life on more recent books, so this will be very useful for me to literally get "back to the Classics". Hi, I'm in again. Will try to get all 12 categories again next year. This will be my third year hosting the challenge. Did you participate with Sarah Reads Too Much? I took over from her at the end of 2013. Yes, I did, and I think for two years? Maybe this is my 5th year. Goodness. Great, thanks for signing up! I use Adobe Photoshop. Or if you don't have access to a design program, you can use a design website, like canva.com. For the challenge, you have to read a minimum of six books, in six different categories. I use Pixlr.com to make my buttons. Wonderful categories! I'm excited to join again next yer. So excited to dive in! This is my first year doing a challenge, though I've been really wanting to. Love most of the categories, and can't wait to get started! Thanks! I had a lot of fun picking categories this year. Hi! I am going to give the challenge a go... But could you check the books I selected? One of them I am not sure if it qualifies or not... I wanted to read the book of Ruth from the Bible in the original Hebrew. I read Esther this year and though with my health issues Ruth would be a good challenge this year. If not, I may trade it out (or do it anyway). Interesting question -- why not? Clearly it's a book in translation; it's a work of literature; and it's a classic that has endured. So I say yes. I think it fits that category the best. Good luck with the challenge! I'm in again for next year. I've enjoyed participating the past two years. I also have a question about whether a book qualifies: Go Set a Watchman, by Harper Lee. It was only published recently, but was actually written in the mid-1950s. It wasn't published posthumously since Harper Lee is still living, so I didn't know if it would qualify. Thanks! I have another question. Would The Maltese Falcon fit under category number 9, since Maltese would be for Malta, which is a place? Though it's technically not a posthumous publication since Harper Lee is still living, we can count it since it was written earlier. The Maltese Falcon doesn't count because the title doesn't include a place -- the word "Maltese" is technically an adjective describing the noun Falcon. Basically, for the Place in the Title category, the title should include a city, street, town, name of a building, etc. : Mansfield Park, Main Street, The Belly of Paris -- the proper name of a location. Nice challenge! I'll give it a go too! Challenges aren't usually my thing but this one has intrigued me as I have watched other bloggers move through it. So this (next) year I'll be reading along. Thanks for the challenge! I'm excited to join in for the first time this year!! I only managed 7/12 this year, but am determined to do better in 2016! Thanks for hosting! I didnt do well in 2015 but will join again! I'm in yet again!! Thank you so much for continuing this tradition going! I linked to the page where I will track my challenges in the coming year. I only read one book for this challenge in 2015... Trying again with a better list this year! This will be my first time participating. I'm looking forward to it! I'm in...again! Thanks for hosting again. Love this challenge. This will be my first year. I found this challenge on Scappy Cat's blog and couldn't resist the fun. Found out about this at Spreading the Feast and am excited to join in! Go ahead and sign up again with the new link, and I'll delete the old one. I'm sorry to hear about your technical difficulties! Excited to give this a try in the new year. This is my first year to join. Looking forward to it! I never joined a challenge before, but this one looked interesting. Thanks for hosting it. I am so going to try to finish this year. I always join then don't finish. :) Thank you for hosting! Linked up! Hopefully I'll be able to finish. I tend to over-challenge myself at the beginning of each year. Count me in!! This is my first year doing any challenge besides the Goodreads one, so this is vurrry exciting. You're right - Master and Commander was 1969. I honestly thought it said 1962 this morning when I typed that up. Oh well. Hey Karen, I asked a couple of questions above about Go Set a Watchman and The Maltese Falcon that I thought you might have missed. And I have another question about the short story category. Can the stories be by different authors or do all the stories have to be by the same author? You say one complete volume; do you mean that you can't pick out 8 or more stories from a larger work? Sorry for not replying before, I did go back and respond to your earlier question. The short story category should be one complete volume of short stories, your choice, but you should read it cover to cover rather than just picking random stories. It can be an anthology like a book of ghost stories by different authors (as long as they were all written before 1966) or a volume of stories by a single author, but you should read the whole book, and it should include eight stories. Thanks for all the clarifications Karen. I'm looking forward to starting on my classics for next year. Hi Karen, just linked up with my list of books. So excited to be joining in this year. Thanks for hosting! Oh, darn it. I got over excited, & signed up using my blog url because I haven't done my sign up post yet. Sigh. This is what happens when I let my glee at seeing that the challenge is up override my responsibility to read the instructions. Can you just delete me (I am number 55 - Christine @ The Bluestocking Literary Society) and I'll come back in a day or so and sign up again? I feel foolish! Not a problem. But I clicked on your link and I love your Spin list! And your Otranto post was HILARIOUS -- especially Snidely Whiplash. Too funny! Please remove my #34 Chris sign up. I resigned up as #53 Chris @ Chris reads daily using a blog dedicated to reading. This is my first reading challenge, so I'm excited! Re-read classic (Hated, Hated!) The History of Mr. Polly by H G Wells. Based on a reference to this book that I saw recently I suspect that the version I read in high school was heavily edited. It's fun researching both the web and my own shelves for ideas. Can't wait to start. I can't wait to participate in this challenge again in 2016 - I love it! Thanks so much for hosting it again! I'm looking forward to this challenge. Why doesn't 2016 start tomorrow? I screwed up and linked to my blog (and not even - I put the wrong URL, for shame!). Would you mind deleting me (#65)? I will come back and follow directions next time. My apologies. Sure, no problem! No worries. Great challenge! I'm looking forward to participating. Thanks for hosting! I love this challenge. thank you for this! I am looking forward to participating! Hi there! I'm so excited! One question: since you say that children's stories are acceptable in the anthology category only, does that mean that books like Robinson Crusoe would not be allowed in the regular categories? Or Little Women or Lion, Witch & Wardrobe, etc. etc. etc.? It depends on the classic. Robinson Crusoe and Little Women were not originally written as strictly children's books, so they would be acceptable. The Lion, the Witch, and the Wardrobe was written for children, so it would not be accepted. I am so excited! Thanks for letting me join. Thanks for hosting this! It is a great way for me to read some classics that have been lingering on my shelves for years. I'm really looking forward to it! Oops! I did not link up correctly because I was so excited about finding this challenge. Is it possible to be deleted (Amelia Rodgers) and then I can sign up again? THANKS! I just signed up - I've been looking for a good classics challenge and this one sounds perfect. I'll probably go for 6 entries - I'm not entirely sure which books I'll be reading but I want to read Jane Eyre (either for the 19th century of for a woman author), Dune (for the sci-fi category), The Catcher in the Rye (for the 20th century), something French for the foreign category (though all English language classics count for me as well, since Slovenian is my mother tongue). And I'll see for the rest. I have a number of unread classics on my shelves already and I'm sure some of them fit the categories! Thank you for hosting this! By the way - is there any way to follow your blog apart from Google? I don't have Google Friend Connect, I don't use Blogger - do you have Twitter or Bloglovin or an e-mail following option? I couldn't find any of those, sorry. Sorry, I'm not on Twitter. I've never used Bloglovin but I follow blogs with Feedly and had good luck with it. I feel so dumb...I did three Mr Linky links because I finally realized that I was supposed to link to my post about the 2016 challenge. Sorry for the clutter! Just posted my link to my sign up and list of potential reads for the 2016 Challenge. Yahoo! I am excited to be a part of this challenge. Can Lewis Carroll's Alice in Wonderland be used for the challenge even though it is considered Children's Literature? I read that it was a Banned Book. If I cannot use it for the challenge, I will select something else - maybe Mark Twain's Huckleberry Finn. I put the wrong link. Could you delete kristinabrooke.net so that I can link to my blog post? Goofed and put the wrong link as well. This is my first time to do this but I'm excited. I've only decided some of the categories so far. I've decided this will be the year I join in on this challenge--hopefully it will be just the spur I need to get some of my Classics Club list crossed off! Hi Karen - Sorry I have never blogged before so I apologize for any inconvenience. Please delete #72 (Dawn) and please keep #99 Dawn S. I think I finally got this right. Thank you, and I am excited about this challenge. Also, can I use Lewis Carroll's Alice's Adventures in Wonderland and Through the Looking-Glass for the banned books category. If not, I will select another text. Awesome challenge! I hope it helps me read some more classics this year! Following Dawn above..I have also never blogged. So 94 (Cassie) has been fixed in #104 (Cassandra). So sorry about that!! No problem, I've deleted #94. Thanks for including the numbers, that made it much easier. Hi, I've followed along for a few years but have never participated. I love reading classics. I do have a question. I don't have a blog (well, not an active one) so what url would I link? My Goodreads page? 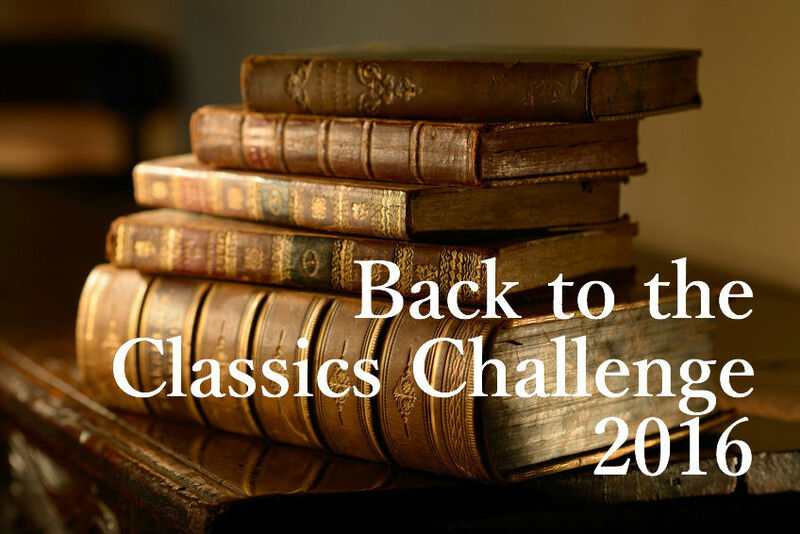 Here is my complete list for the 2016 Classics Challenge. It includes books I have meant to read, have avoided reading and writers I had never heard of.That is what's great about this challenge, it takes you out of your normal reading preferences. Happy New Year to all! Great list! And thanks for making it easy to find your reviews. I like how you set up a separate shelf on Goodreads, that's very helpful. I'm really excited for this challenge! I think I've finalized all of my choices for the categories, and I can't wait to dive in! I'm looking forward to this challenge. Definitely a bit out of my comfort zone. Thanks! I saw this challenge on MyBookStrings and was inspired to join in. Looking forward to a year of classic reading! I just found your blog and this challenge! Very excited about this year. I'm starting cautiously--six books, and we'll see how the year goes. Thanks for hosting! I didn't do too well last year, but keen to participate again. Only going for six books this time instead of twelve. I found the challenge via A Great Book Study and unfortunately it was too late to sign up for last year's challenge. So excited to participate this year. Actually, I ended up deciding to post about this challenge on my other blog. Please disregard the Colleen @ Beatificus entry. I'll be doing it on my Geekerella blog instead. Thanks! Looking forward to participating for my third time! Thanks for hosting! For some reason this wouldn't let me comment via my WordPress account, and it won't let me change the Google account from Unknown. That's weird -- I have lots of people who use Wordpress and comment on my blog. Hopefully it won't do this every time. I just found out about your challenge today. I hope I'm not too late. I would love to join in and read a book from all of the categories! Thanks for hosting. I've already started this challenge without realising. Read The Old Man & The Sea by Ernest Hemingway on Sunday. Great classic! Thanks for encouraging your readers to go on a journey of discovery of the classics. I can't wait to get going properly. I've signed up for the challenge! It sounds like so much fun. I can't wait to read all the great classics on my tbr list. I would love to join the challenge, but have no blog. I am more than happy to link my Goodreads account. Do you want the link to my reading challenge shelf? I asked this same question a few days ago and am hoping for an answer. Sorry for not replying earlier, I've been out of town for the holidays and am just now getting caught up. If you don't have a blog, you can link to your Goodreads account. The best way would be if you set up a dedicated shelf to the challenge -- that way, when you add links to your reviews, it would link directly to the page and to your reviews. I need to be able to find the links and see the reviews at the end of the year when I add people to the drawing. Hi Karen - Following your reply to PatK, I have set up a list of my books on Goodreads: https://www.goodreads.com/review/list/3999173?shelf=back-to-the-classics-challenge-2016. I hope this helps. Please let me know if this helps. I also created a Google Blog (http://dawnskinner001.blogspot.com/2016/01/back-to-classics-challenge-2016-its.html), but I do not know if you can see it for my reviews. Sorry, I am not a blogger. I am really looking forward to this challenge. I have begun my "Place name classic" The House of Seven Gables, by Nathaniel Hawthorne. I am loving it so far!! I look forward to reading the rest of my choices. Thanks for the challenge!! I really enjoyed this last year and am looking forward to reading more classics this year. I know there is some fluidity in the categories, but want to clarify: Would "Dracula" be considered a fantasy or science fiction classic? I would classify "Dracula" as fantasy. Science fiction and fantasy are often lumped together, but fantasy is about the impossible (often including magic or the supernatural) and science fiction is technically possible, even though it is improbable, (like "The Invisible Man.") Dystopias like "1984" or "Fahrenheit 451" are a sub-category of science fiction. So, I'd call "Dracula" a fantasy -- hopefully vampires are impossible! Either way, it's a great choice for this category. Great! Thanks for your help! I'm looking forward to reading it. Hi. This is 'motobass4321.' Please update my goodreads link to the shelf: https://www.goodreads.com/review/list/51320085-motobass4321?shelf=b2c-2016. Thank you! Just add the correct link above and I'll delete the incorrect one. Done. My old entry was #133. Looking forward to participating! Really enjoy this one each year. Thanks for hosting it! Would The Woman in White be acceptable for the detective novel category? Yes! According to Wikipedia, it's considered an early example of detective fiction because one of the characters uses "sleuthing techniques employed by later private detectives." That's good enough for me, since it can be any detective, amateur or professional. Good luck on the challenge! A volume of classic short stories: Russian Stories by Struve, ed. I managed to get my sign up post drafted, finally! I'm really excited about this year - it will be my third year participating in the challenge! So a couple of questions that may be silly but that I'd like to get addressed if possible...firstly, what are the rules surrounding re-reads (for categories other than the "re-read a classic" category, obviously)? Are they acceptable as long as a full read occurs in 2016? Well, the point of the challenge is to read more classics, so I'm hoping people will read mostly books that are new to them. There's really no way for me to check. And the answer to the second question is yes -- you can read non-fiction classics. I don't have a special category for non-fiction like I did last year. Either one of the books you mention would be a great choice for the non-white author category. There are also some great non-fiction adventure classics, like Kon-Tiki, so I expect to see some of those chosen for that category also. I am very much looking forward to this challenge. 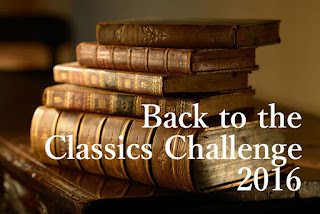 I have been looking for a good classics challenge to help get some of them off my TBR. I am super pumped for this. Better late than never, right? Thanks for hosting this challenge - I'm excited! Question: Can some or any or all of the books be re-reads for this challenge? Nevermind - I see this was asked already. Thanks. Looking forward to a few more classics! This will be a great way to reinvigorate my classics reading. What does read in school. Just I often read my own copies at home rather than taking them out from school? As I wrote in the instructions above, this means that you should re-read a classic book you read in school, and the post about it. You may love or hate a book just as much as when you originally read it, or you may feel quite differently about it. The point is to see if your perspective of the book has changed. Sorry I don't think I phrased my question well. What I meant was. Does it mean a book you read while you were at school or a book you read physically on the school premises please? It's just a book you were assigned to read FOR school -- it doesn't matter WHERE you read it. I'll clarify that in the directions. I think saying "read FOR school" is more accurate than "read IN school." Thank you. Now definitely want to do this challenge. I am finishing up my last 2 books, but I have a question.. I read The Wizard of Oz, Just So Stories, The Hobbit, and An Old-fashioned Thanksgiving by Louisa May Alcott. Does that mean I need to sub out one of those? I have already written the reviews, but I could move A Study in Scarlet to banned books and then use another Sherlock Holmes for 19th century classics (after I read A Study in Scarlet I got sidetracked and ended up reading ALL of the Sherlock Holmes books except the last one that isn't in the public domain). You can shift books around to fill all the categories as you like. As long as you've completed at least six and identified them (with links) in your final link up post. Answered my own question...I am going to go find an audio of Frankenstein (to replace my first book by a woman) to listen to while doing dishes today! What's the harm in reading one more book?!? Clearly none!!! Hi--I wanted to do a link in the Short Story category but I get a page not found message. Sorry about that! I was editing a typo and I must have clicked on "Save" instead of "Publish." It's back now. Hoping to keep up this year! -Cassandra W.
I can't figure out if I signed up or not, but I finished :). I'm working on my wrap-up post.